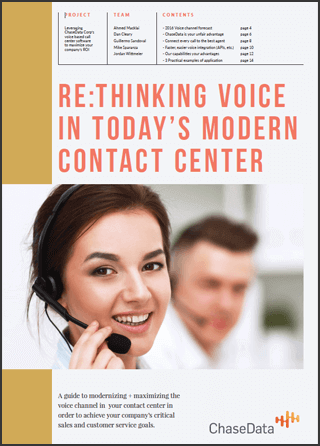 A FREE guide to modernizing + maximizing the voice channel in your contact center in order to achieve your company’s critical sales and customer service goals. Today’s sales and customer experience managers are bombarded with a myriad of alternative platforms with no clear method of evaluate on prior to deployment. This paper is presented as a primer to creating a more effective 21st century call center.